When I went to Japanese restaurant, in fact I have quite limited number of choices because I do not take raw food like sashimi. 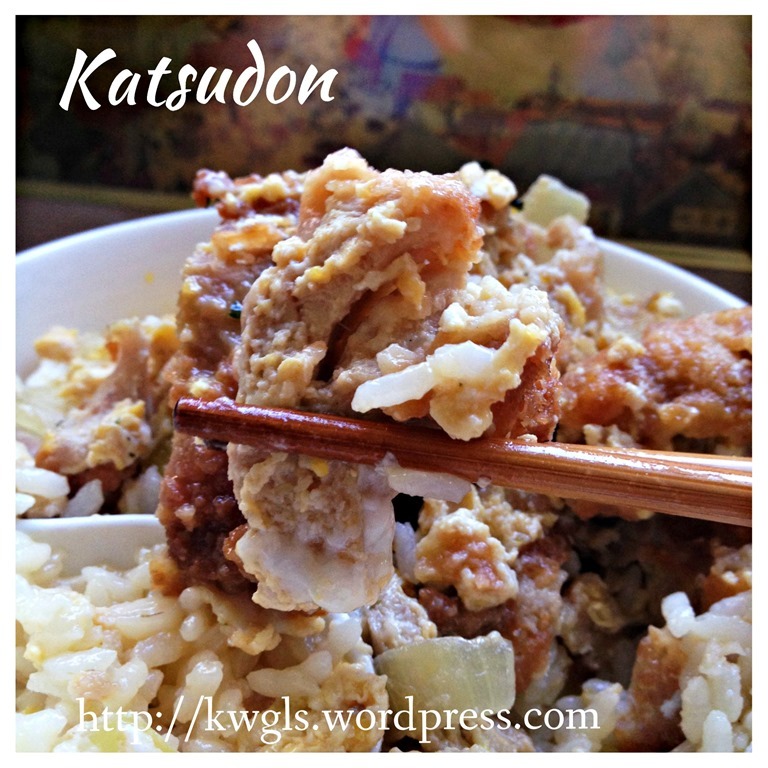 While friends or families are enjoying their expensive sashimi, I can only order simpler item such as katsudon or karagee chicken. 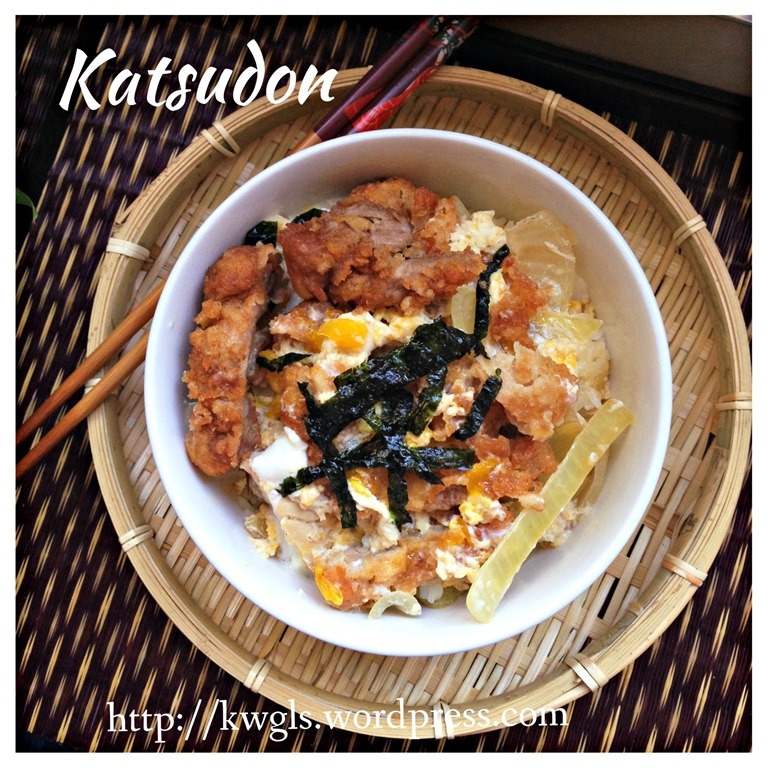 So, I have been eating katsudon in many Japanese restaurant and in fact I love this simple one dish meals which is fulfilling and tasty. 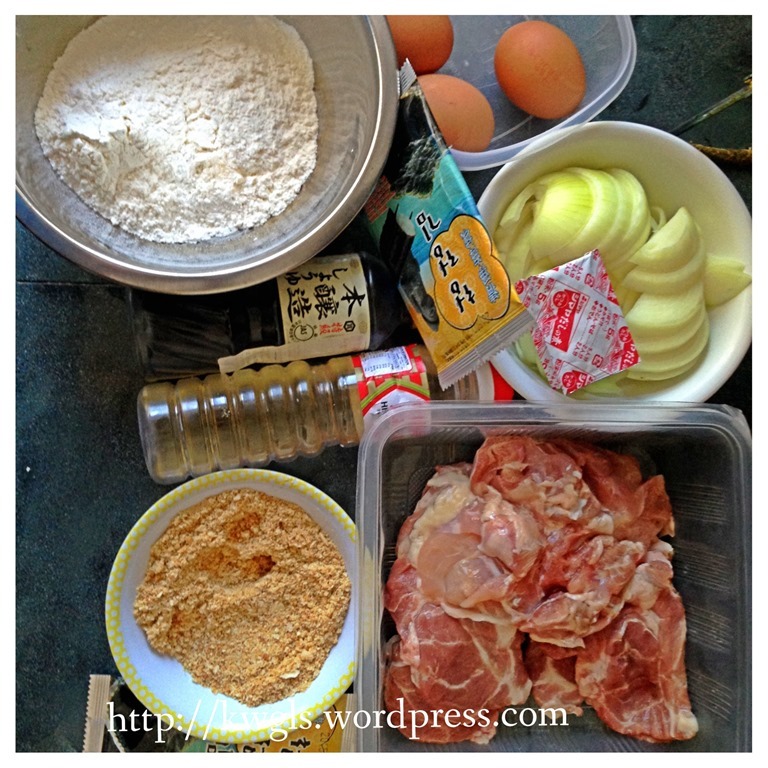 Since I like it very much, logically I shall look for a recipe and try to replicate it. 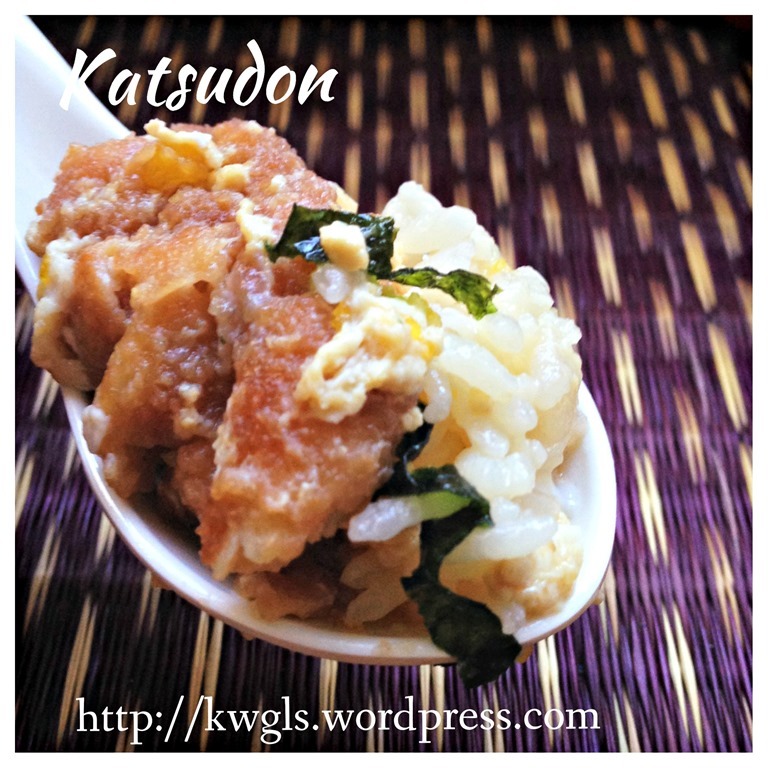 One of the main condiment in this dish is Dashi, a type of Japanese stock. 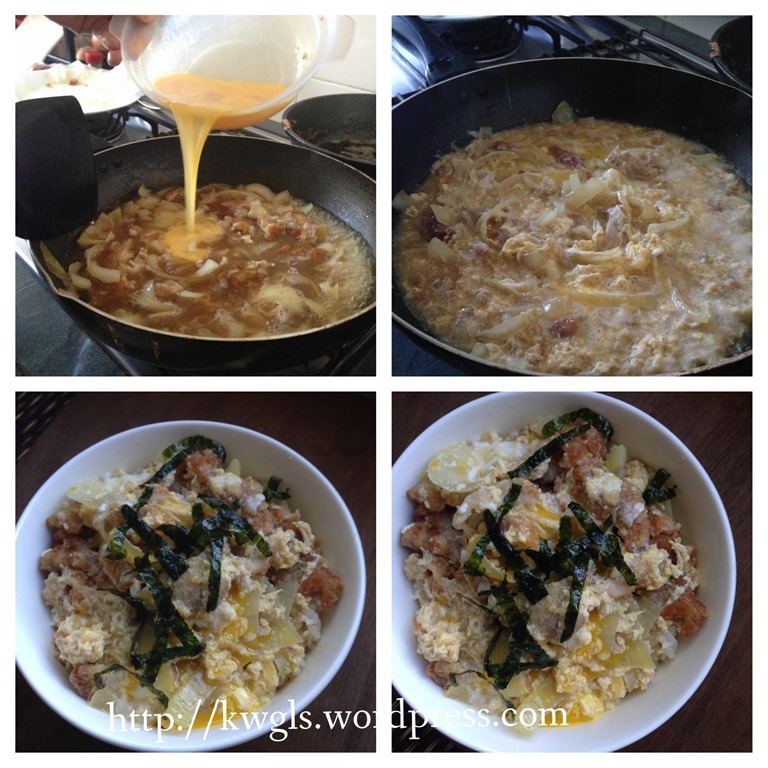 Dashi (出汁, だし) is a class of soup and cooking stock used in Japanese cuisines. Dashi forms the base for miso soup, clear broth,noodle broth, and many kinds of simmering liquid. You can easily get this in major supermarkets Japanese goods section. 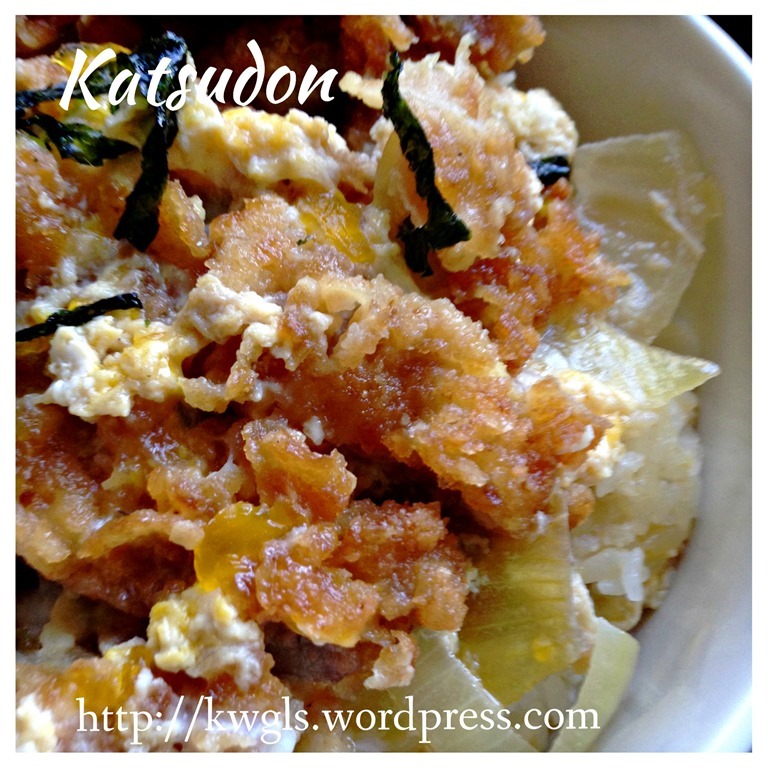 As my girl do not like to eat pork, therefore, I have also prepared a Chicken katsudon for her. 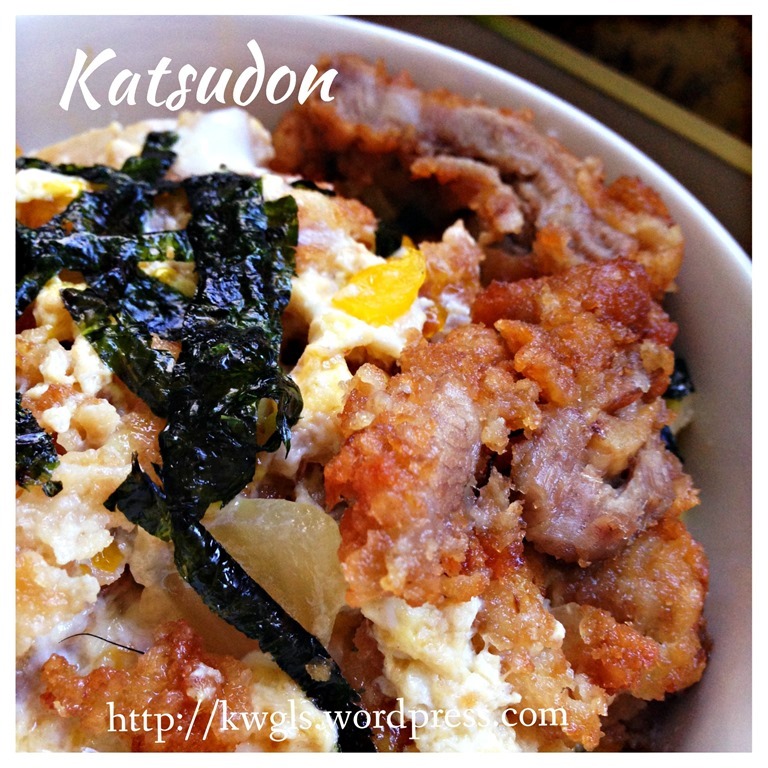 I am unsure whether it is correct to called this as “chicken katsudon” since Katsu itself means pork cutlet. However, I do notice foodies and restaurants are using the terms.. 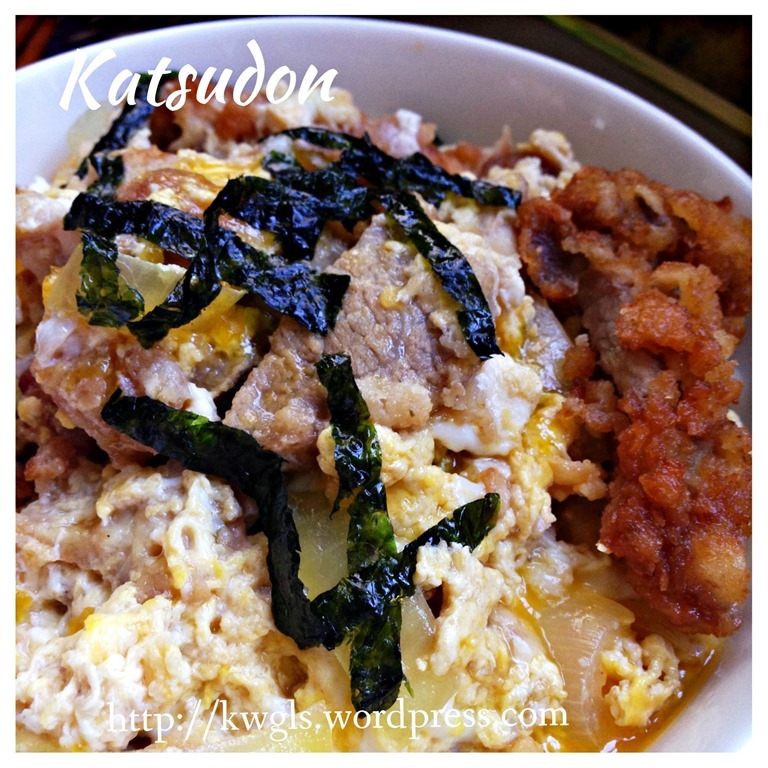 I like this dish for its egg gravy that drizzle in the rice with lots of onions and of course, the crispy tasty and juicy pork cutlet that goes well with the rice. 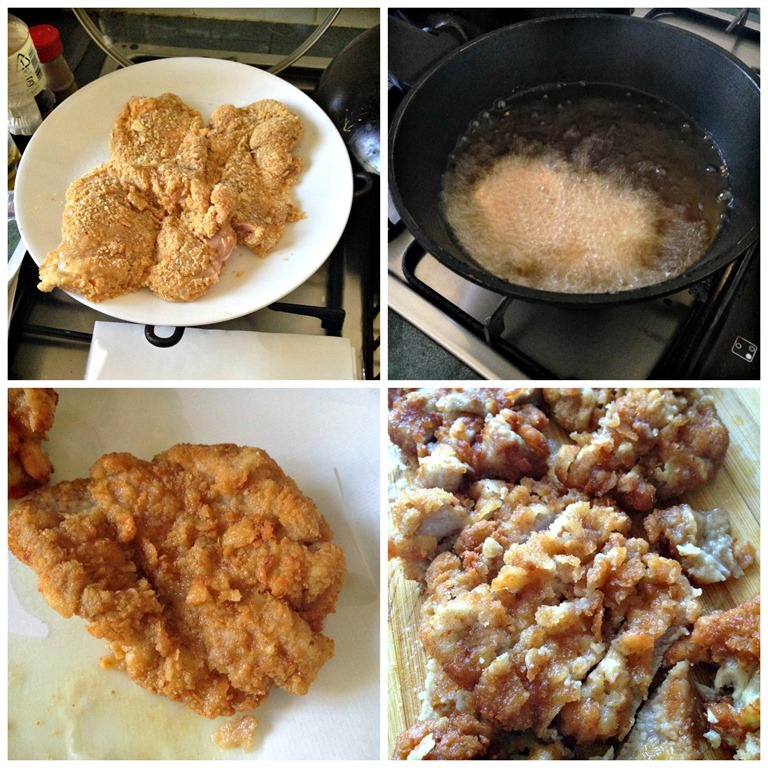 Clean the meat, drain, dredge in flour, coat with eggs and followed by coating of panko or bread crumbs. Heat up a frying pan of about 5 cm of cooking oil, deep fry the tonkasu or chicken tenders under medium heat until golden brown . 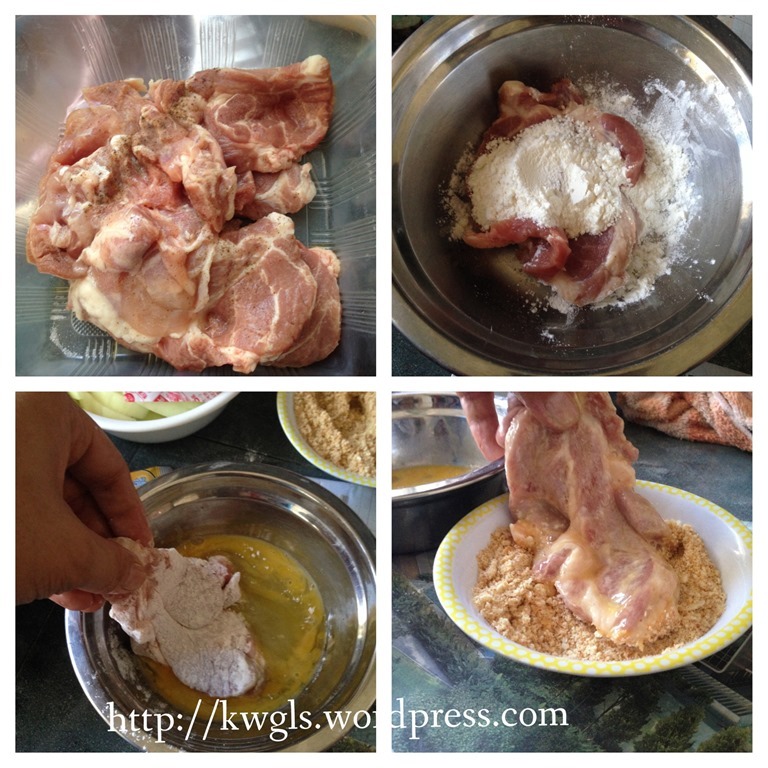 Drain and cut the cutlets into 1 cm wide strips. You can also consider using air fryer to fry the tonkasu. In a frying pan, slightly heat up 1 tablespoon of cooking oil. 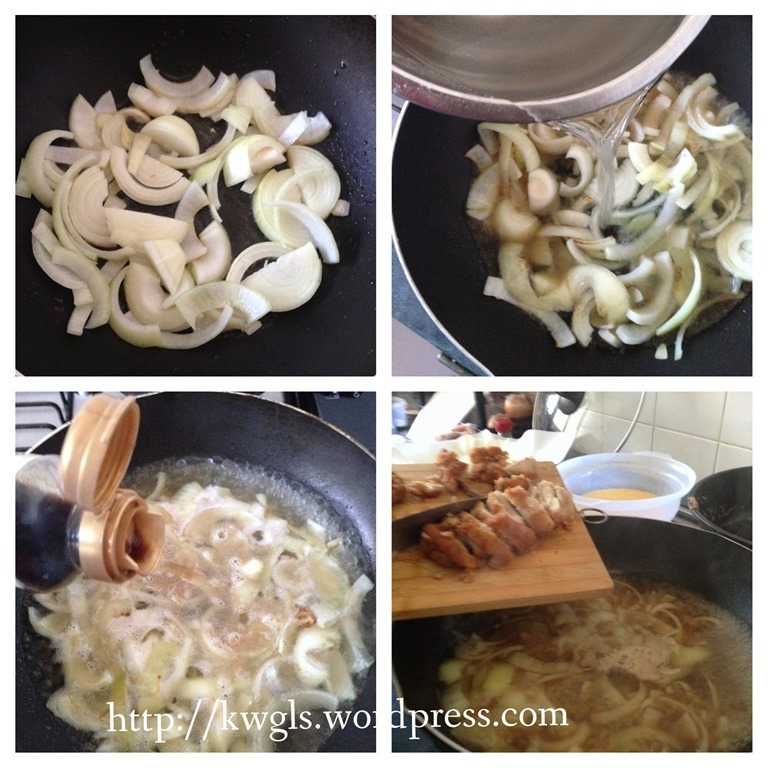 Sauté the onion for about 1 minutes and pour in the dashi stock . Let it simmer until the onion are soft. Add in all the other condiments and seasonings followed by pork cutlets or chicken tenders. Let it simmer for another 1 minute. 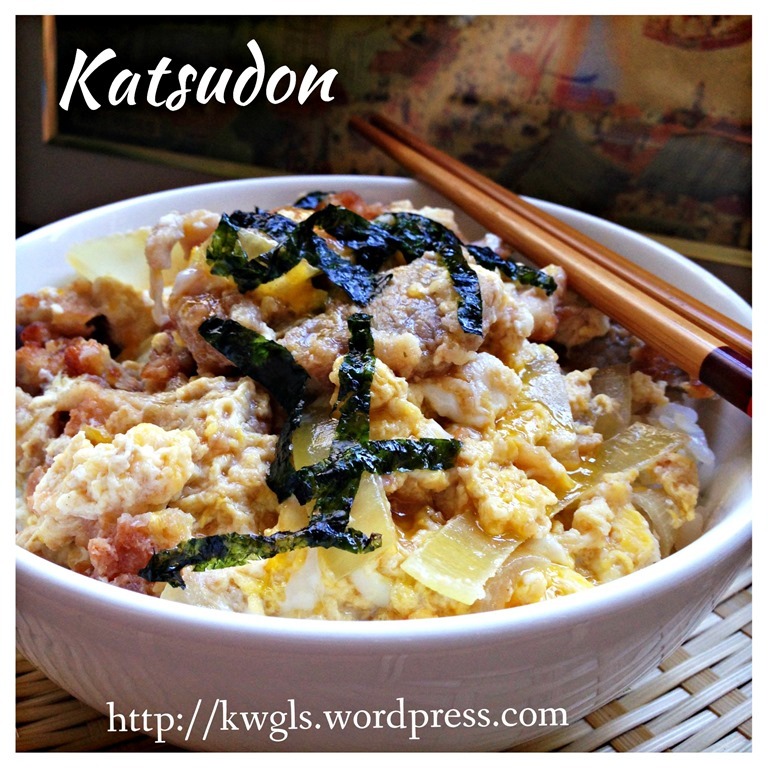 Meanwhile, beat up the 4 eggs and pour it on top of the katsudon as evenly as possible. Let it cook for about 1 minutes or until the egg it set. 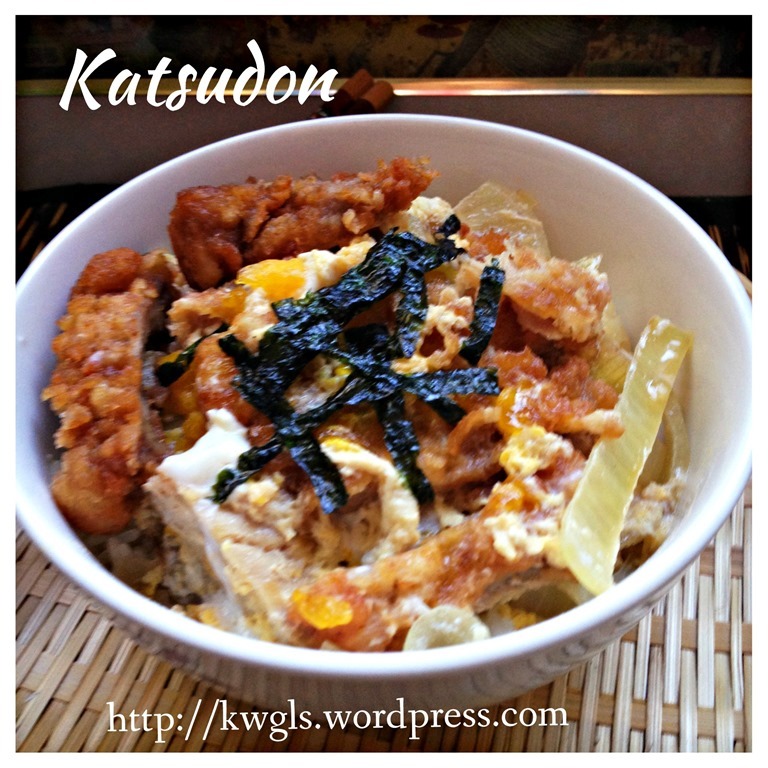 Dish the katsudon and gravy on top on a bowl of cooked calrose /pearl rice. Garnish with Japanese seaweeds or Japanese Chilli powder if desired. 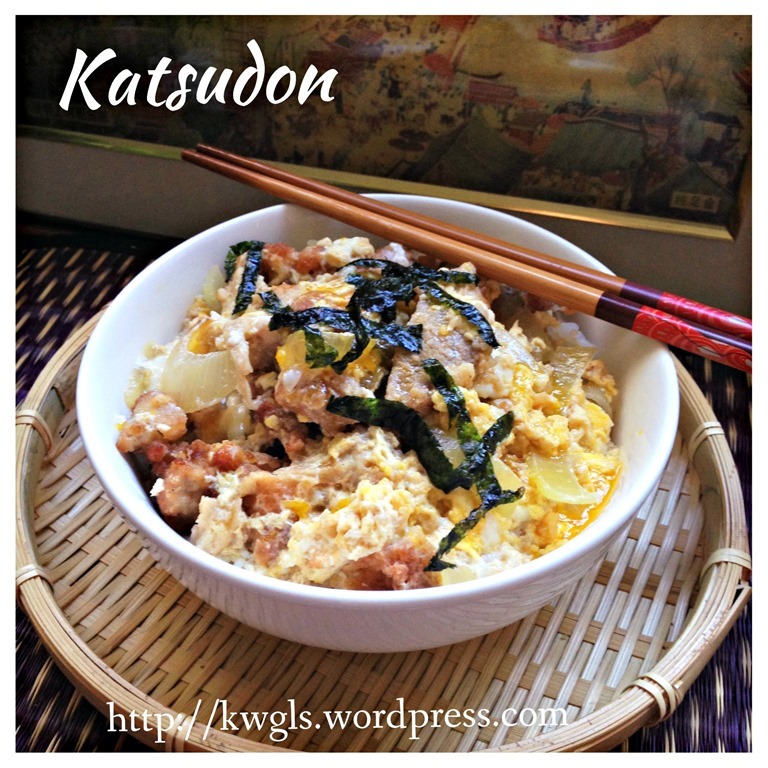 Best served hot as a single rice dish. It is such a nice dish that one may think that it is difficult to prepare. In fact, it is not.. With the advent of new kitchen technology like air fryer, it can be a rather healthy dish. As they are many condiments being called for, actually, what is most important is only Dashi stock which provide most of the taste. In addition, onions and eggs do contribute to its unique flavour of this rice dish. 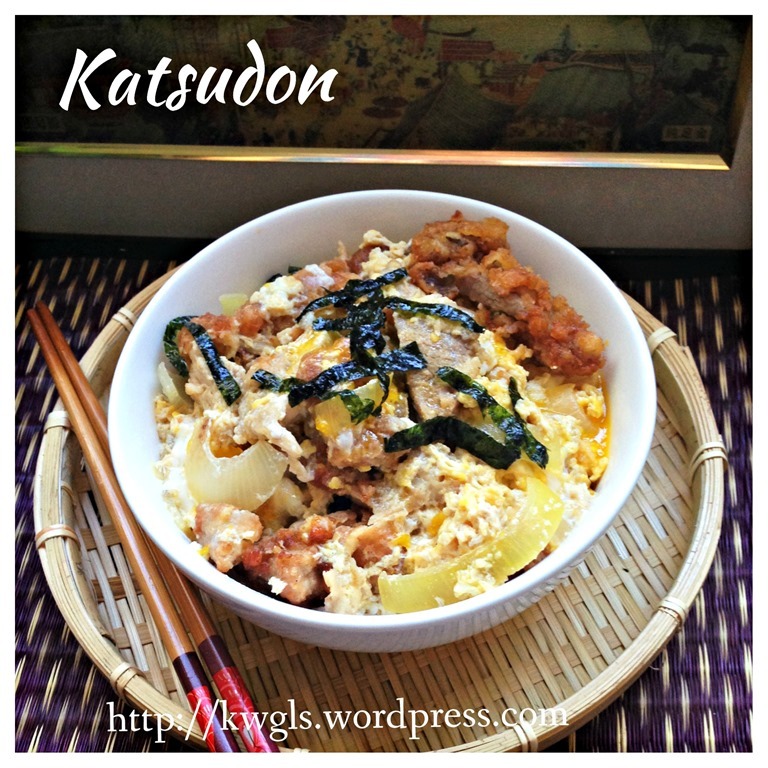 Therefore, if you are reluctant to buy the various Japanese condiment just for this dish, it is ok to substitute with some Chinese condiment or seasonings. It is equally delicious too. 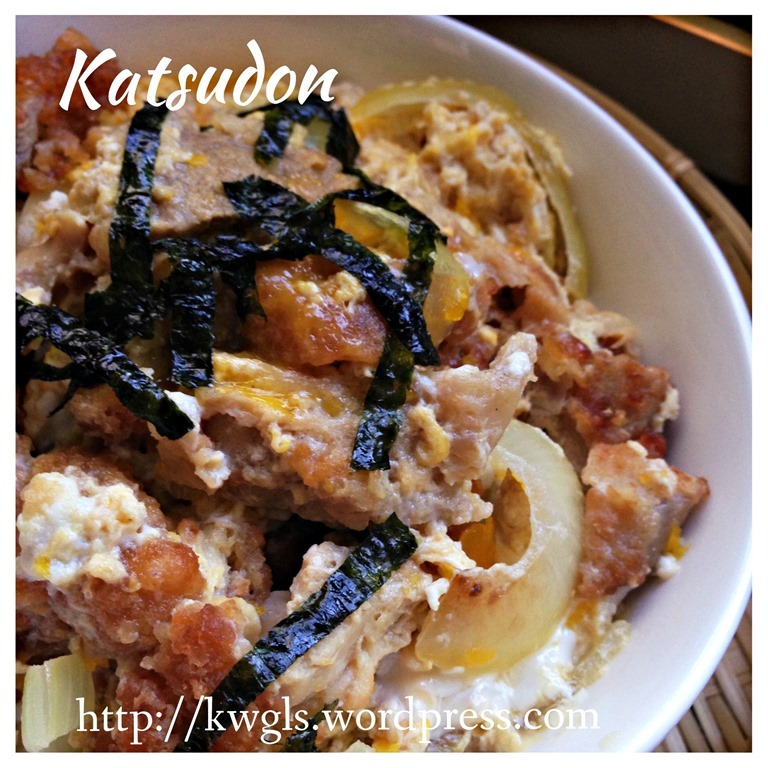 This entry was posted in Food Preparation Series, Noodles, Rice and Others and tagged 8, カツ丼, chicken katsudon, 猪肉盖浇饭, GUAI SHU SHU, Guaishushu, Japanese pork cutlet rice, katsudon, kenneth goh, postaday, tonkasu, tonkasu rice, 日式猪排饭. Bookmark the permalink. 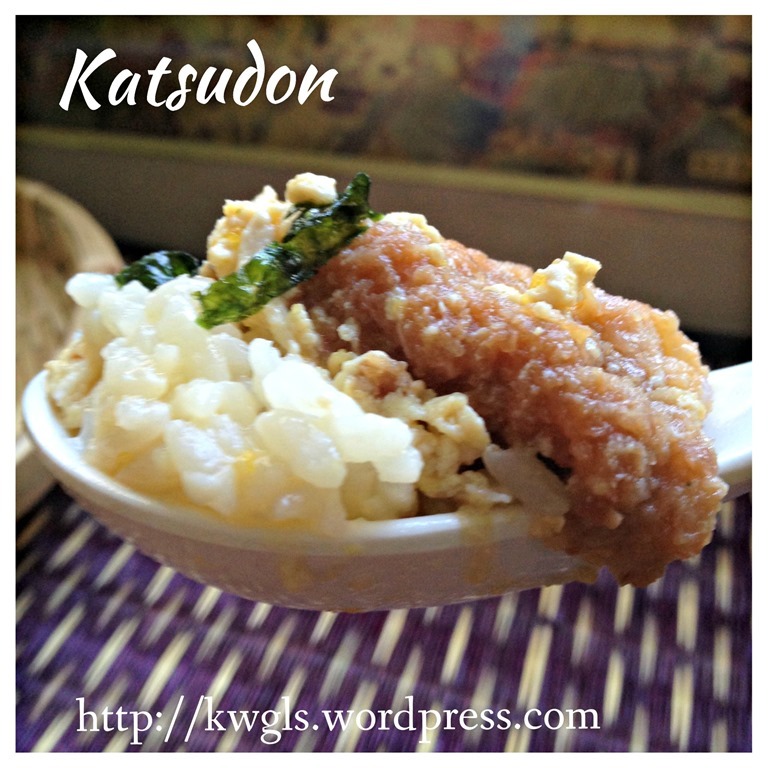 I really like Tonkatsu, but have never had this. The miso in the broth sounds delicious. I can’t wait to try this.